Where do you need Panel Repair? 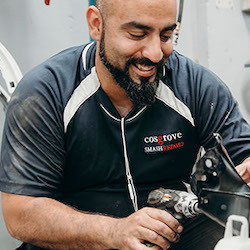 Panel repair refers to when panel beaters and smash repairers use specialised tools to repair metal, plastic, and fibreglass bodywork panels on automotive vehicles. Sometimes this panel repair requires completely replacing damaged panels to bring the vehicle back to a factory finish. Trade apprenticeship to become a panel beater typically consist of three years of schooling mixed with on the job training. For panel repair connect with local panel beaters and get competitive quotes to repair your vehicle damage. The most common types of panel repair required are scratch repairs, dent repairs, hail damage repairs, and bumper damage repairs. Many scratches that would require panel repairs are accidental and are most commonly caused by keys, kids, car parks, garages and collisions with other vehicles. Panel repair on bumpers is the most common type of panel repair. Bumper panels are typically made from hard plastic which means they are cheaper to fix but can tear easy or suffer serious dents and scratches. Hail damage is also a common requirement for panel repair. The roof, boot, and bonnet are the most likely areas to be affected and the cost to smash repair is often very high depending on the number of dents and the severity of paint damage. Looking for some panel repair for your car? 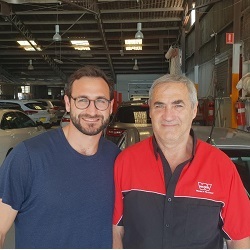 Use the quick quote service on DingGo.com.au to get obligation free quotes from our network of highly reviewed local panel beaters. How much does panel repair and panel beating cost? Car panel repair is unfortunately quite expensive as there is extensive labour and materials involved in removing parts, repairing them, respraying the paint to get a factory finish and then refitting the parts back on. In many cases paint blending on surrounding panels is also required so the repairs are not noticeable. The extent of damage and where it's located on the car can see a repair cost between $250 to $500 for each damaged panel and each surrounding panel requiring paint blending. Why not let us find you the best price for your panel beating? Use the DingGo obligation free quick quote service.